Zuma's award-winning frappe is specially blended using real vanilla beans for a seriously cool and consistently delicious creamy frappe for all your customers. Delicious on its own made with either milk or non-dairy alternatives, it also makes a perfect base for many other drinks. Try using with your own house blend of espresso for a frappe with a kick. 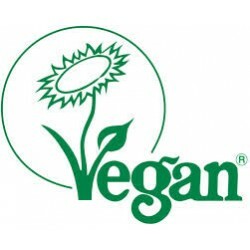 • Registered for vegetarians and vegans by The Vegan Society. 2. Pour 160ml milk or non-dairy alternative, over the ice.